I feel like I channeled my inner ATL Silk Press Master for this one, lol. I've been mentally preparing for this for at least a month. The last time I did a blowout on my hair was over 6 months ago, in early December. And my hair ain't seen a flat iron since October of 2015. Back in my transitioning days, I used to flat iron my hair every 3-6 months for a length check and trim. But after I discovered the glory of the wash & go, those straightening sessions became a lot less frequent. Occasionally, I still want to switch it up. I knew it was time to go straight when I found myself obsessed with silk pressing videos and blog posts. I was pretty much convinced that I'd be able to do a professional straightening job at home - I just needed a system to make it happen. Preferably, one for natural hair that would focus on keeping my hair healthy and free of heat damage. Once I learned about the new Design Essentials Natural Agave & Lavender Blow-Dry & Silk Press Collection, I knew it was meant to be. Available EXCLUSIVELY at Sally's. If you see it somewhere else, issa bootleg. Exclusively in Sally Beauty stores and online. Sodium Lauroyl Methyl Isethionate: Water soluble, coconut derived surfactant. Is known to be incredibly mild, and one of the safest on the market. Cocamidopropyl Betaine: Coconut oil-derived detergent, anti-static, and hair conditioning agent. Sodium Methyl Oleyol Taurate: Mild surfactant and foaming agent derived of the sodium salt of coconut fatty acid. Sodium Cocoyl Isethionate: Salt surfactant derived from the fatty acid of coconut oil. Sodium Methyl Cocoyl Taurate: Gentle cleanser used to increase the viscosity (thickness) in a surfactant mix, and provide lather. The Agave & Lavender Moisturizing Hair Bath is a sulfate-free shampoo designed to hydrate the hair and scalp while gently cleansing and improving the overall look and feel. 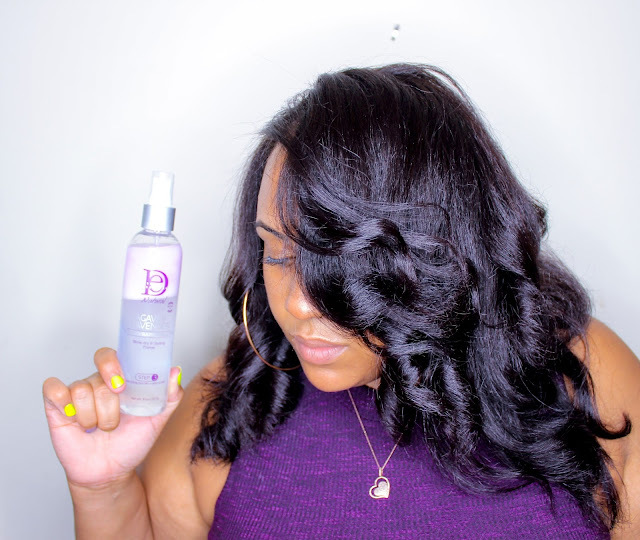 It conditions and softens by smoothing the cuticle and removes dirt, oil, product buildup, and other debris from the hair and scalp while replenishing moisture. Following my pre-shampoo detangling session, I shampooed twice with the Agave & Lavender Moisturizing Hair Bath. When using direct heat on my hair, I always shampoo a minimum of two times. Hair with any old dirt or product buildup can actually singe, burn, and cause heat damage. I was also able to keep my hair from tangling back up, thanks to the slip in the Moisturizing Hair Bath. The shampoo has a very delicate, high-end salon fragrance that's lightly floral with a hint of sweetness. I can't quite put my finger on it, but it's addicting and I love it. To be honest, the Moisturizing Hair Bath is easily my favorite product in the Agave & Lavender collection. It's super moisturizing, yet cleans the hair and scalp thoroughly. 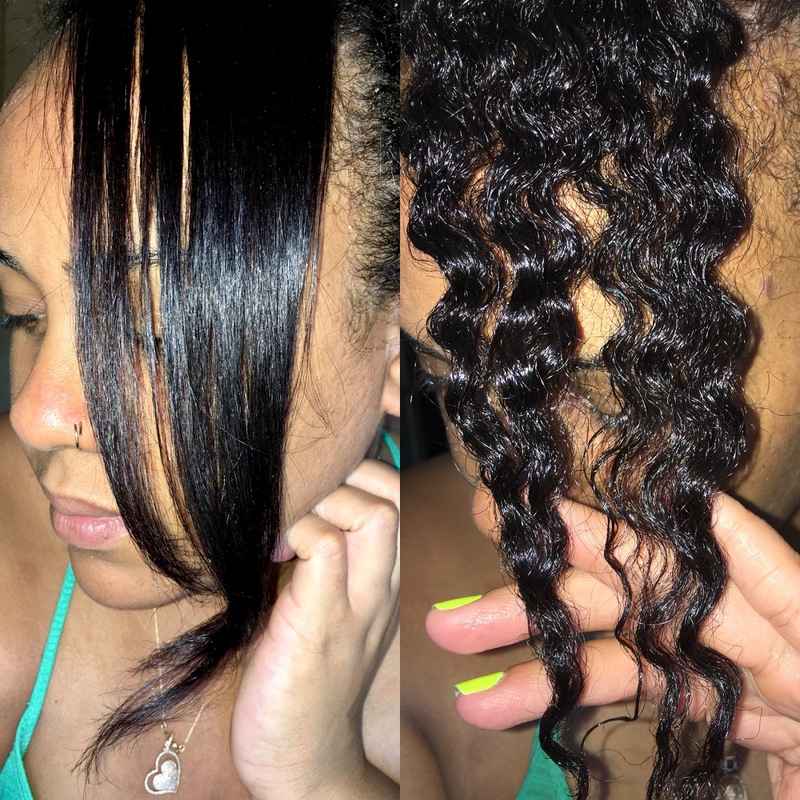 You guys know I have scalp psoriasis, and I found that after 2 thorough shampoos with the Moisturizing Hair Bath, my scalp was flake-free - even in the days after straightening (which is no easy feat for those of us with scalp issues). The slip was off the charts for a shampoo - another winner in my book. I definitely plan on using the Moisturizing Hair Bath on GP, as a regular shampoo. Cetyl Alcohol: Considered "fatty alcohol" -- NOT to be confused with drying alcohols such as ethyl. Acts as a lubricant, thickener, and emollient. Also gives conditioner its velvety feel without making hair greasy. Is additionally used to keep product ingredients from separating. Behentrimonium Chloride: Quaternary ammonium compound and close cousin of cetrimonium chloride. Also penetrates the hair, conditions, and acts as an anti-static and anti-microbial agent. Amodimethicone: Silicone-based hair conditioning polymer that becomes water soluble (yes, a water soluble cone!) when accompanied by cetrimonium chloride and trideceth-12. In this case, amodimethicone is water soluble. Glycol Stearate: A compound of ethylene glycol and stearic acid, which is a naturally occuring fatty acid with opacifying, emollient, and conditioning properties. Glycol Distearate: Fatty acid compound that acts as an emollient and controls viscosity (thickener). 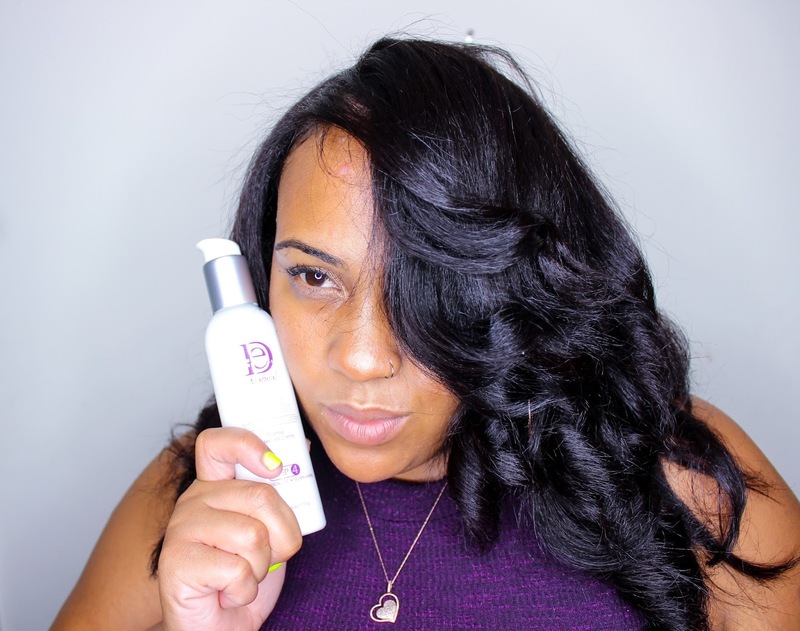 The Moisturizing & Detangling Conditioner is the 2nd prep step in the collection for blow drying and styling. It's a rinse-out conditioner that's designed to hydrate, strengthen, improve elasticity, and stave off heat damage by boosting internal hydration within the hair. The instructions advise leaving it on for 1-3 minutes following the Moisturizing Hair Bath, but it can also be used as a deep treatment with heat or steam for enhanced benefits. 3 minutes of conditioning before heat styling didn't sit well with me, so I applied a generous amount of the Moisturizing & Detangling Conditioner and combed it through my hair to evenly distribute. After my hair was thoroughly coated from root to ends, I put on a plastic cap and sat under my hooded dryer for 30 minutes. 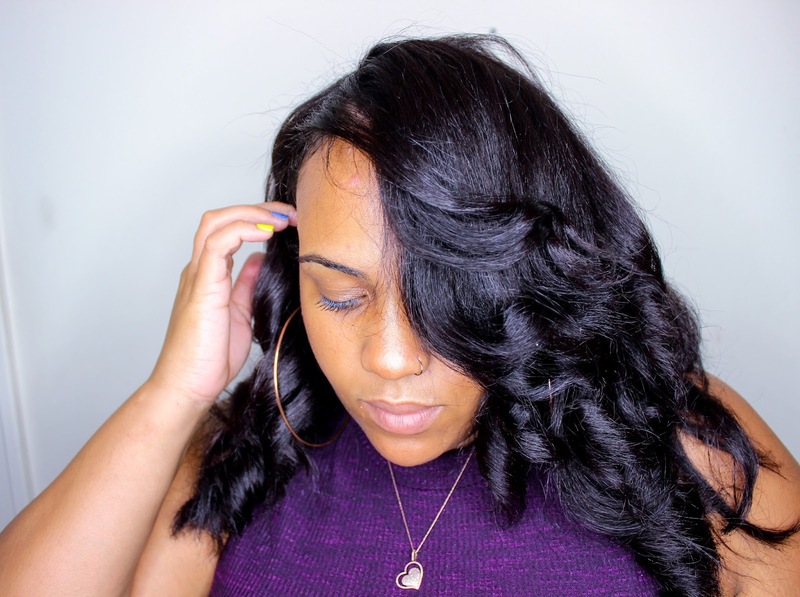 The Moisturizing & Detangling Conditioner carries the same bomb fragrance as the shampoo, and is definitely thicker than the average rinse-out conditioner. It doesn't have a super creamy consistency, but it definitely feels moisturizing. I would have liked a little more slip, but it wasn't difficult to work with by any means. 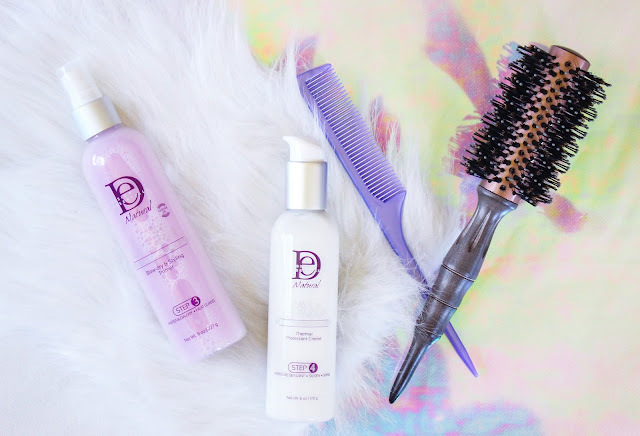 When it comes to applying direct heat to my hair, I'm super picky about which products I use. I always look for conditioners and heat protectants that contain ingredients like cetrimonium chloride (improves tensile strength of hair when it comes into contact with heat), silicones (to protect and delay transfer of heat to the hair), and humectants (to draw moisture to the hair and prevent drying out). The Moisturizing & Detangling Conditioner hits all the marks with cetrimonium chloride, amodimethicone, and agave, respectively. This duo added so much shine, softness, and moisture to my hair. Isopropyl Myristate: Emollient and conditioning agent composed of isopropyl alcohol and myristic acid, a common, naturally occurring fatty acid. Polysorbate 20: Emulsifier that enables oil and water to mix. It helps product disperse, is a thickener, and stabilizer of essential oils. Glycerin: Vegetable-based humectant that draws in moisture to the hair. Cetrimonium Chloride: Compound close in composition to Behentrimonium Chloride. In addition to having the same penetrating, conditioning, and anti-static properties, centrimonium chloride has been scientifically proven to strengthen the hair when activated by heat. Propylene Glycol: Humectant and conditioning agent. The Blow-Dry & Styling Primer is a lightweight blowout spray that primes the hair for blow drying and flat ironing. 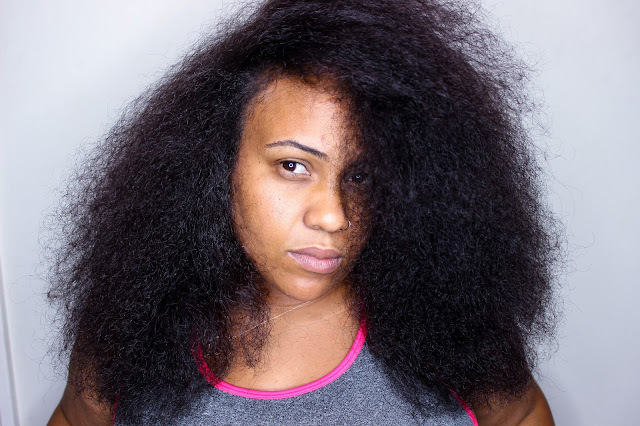 It provides moisture, softness, and strength while protecting from heat damage. To use, simply shake to activate the product, and spray throughout the hair and comb through for complete coverage. Then, blow dry. The combination of lightweight moisturizers and conditioners make the blow-drying process easier and up to 50% faster. As directed, after rinsing out the Moisturizing & Detangling Conditioner, I parted my hair into sections to work the Blow Dry & Styling Primer through. I combed each section to make sure I had covered my hair evenly. The results speak for themselves, yo! It looks pretty, smells pretty, and works pretty well. When first spraying and combing though my hair, the primer almost seemed too lightweight. But as I applied blow-dry heat section by section, I realized that my hair felt soft, and I couldn't find any breakage on my shoulders or shirt. 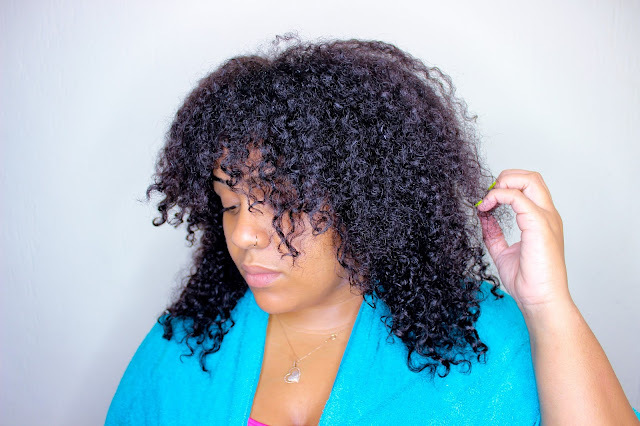 The no-breakage is a total win in my book and a top concern when blow-drying natural hair. It didn't particularly make my blow-drying time shrink by 50% - but that's because thanks to YouTube, I was convinced that I was a round brush pro (I'm not). I definitely need to go back to the attachment, because ya girl does not know what she's doing there. I'm sure had I used the blow dryer attachment, the experience would have been a breeze. Mineral Oil: Cosmetic-grade petroleum byproduct with excellent moisturizing and thermal protection properties. When applied properly, it is a better moisturizer than silicones and can be washed out of hair easily. When applied to damp hair prior to thermal styling, it helps to protect hair from heat damage. Vegetable Oil: Vegetable-based carrier oil blend used to moisturize the hair. Oleth-10: Compound used to help reduce surface tension of formulas and get ingredients to dissolve in liquids that normally would not. Oleth-10 helps ingredients better penetrate the hair as well. Cetearyl Alcohol: Considered "fatty alcohol" -- NOT to be confused with drying alcohols such as ethyl. Acts as a lubricant, thickener, and emollient. Also gives conditioner its velvety feel without making hair greasy. Is additionally used to keep product ingredients from separating. The Agave & Lavender Thermal Protectant Creme is exactly that, and step 4 in the collection of products. It's a lightweight creme designed to seal in moisture and provide heat protection and shine. It's formulated for silk pressing medium to coarse textured hair, and provides heat protection up to 420 degrees Fahrenheit. I pumped a bit more than a dime-sized amount of the Thermal Protectant Creme into my hands, and rubbed them together. I distributed the creme throughout my hair, and brushed it through for even coverage. I then separated my hair into sections to prepare for flat ironing. I'm now a beliver in the Thermal Protectant Creme. At first, I was super confused by the creme. I swore up and down that I needed to use it before blow-drying and not after, because of the water content. But everything I read said to use it after. So I did - and I was pretty impressed by the results. After applying the creme, I flat ironed my hair in small sections on 410 degrees Fahrenheit. Based on past experiences with my natural hair, I know that 410 is a safe temperature for me to make with two passes to straighten. My first pass was with the flat iron only, and I used the chase method with a fine-tooth comb on the second pass. I noticed instantly that my hair glided through the iron with ease, and zero snagging. No funny snap, crackle & pop sounds, either. Oh, and it smells amazing - just like all the other products. Left: Agave & Lavender 4-Step Collection test. Right: Post-wash and heat damage free! 1. Pre-shampoo treatment and detangling with Design Essentials Natural Almond & Avocado Conditioner. This was an important step for me to remove tangles and begin the process of hydrating my hair. Hair that is properly hydrated internally is less susceptible to heat damage. 2. 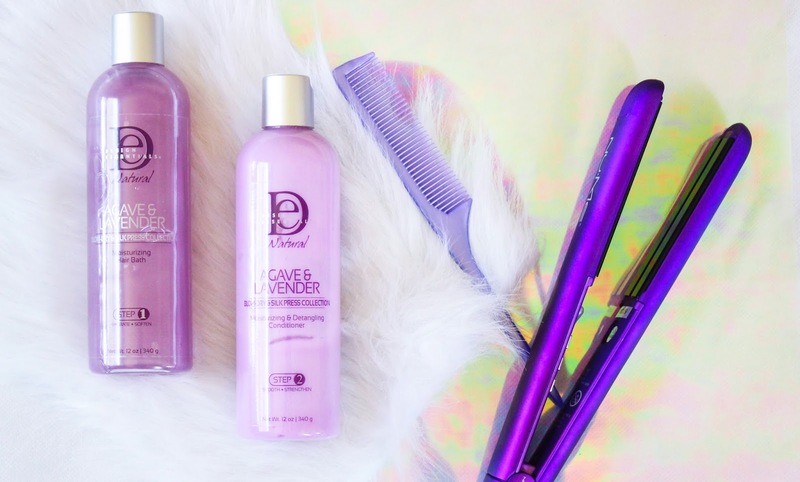 Shampoo twice with the Design Essentials Agave & Lavender Moisturizing Hair Bath. I always shampoo at least twice prior to straightening, to remove buildup that can cause heat damage while keeping my hair moisturized. It seems counter intuitive, but shampoo can moisturize and hydrate the hair! Talk about a transformation! After shampooing, and before conditioning. Shrinkage is a beast! 3. 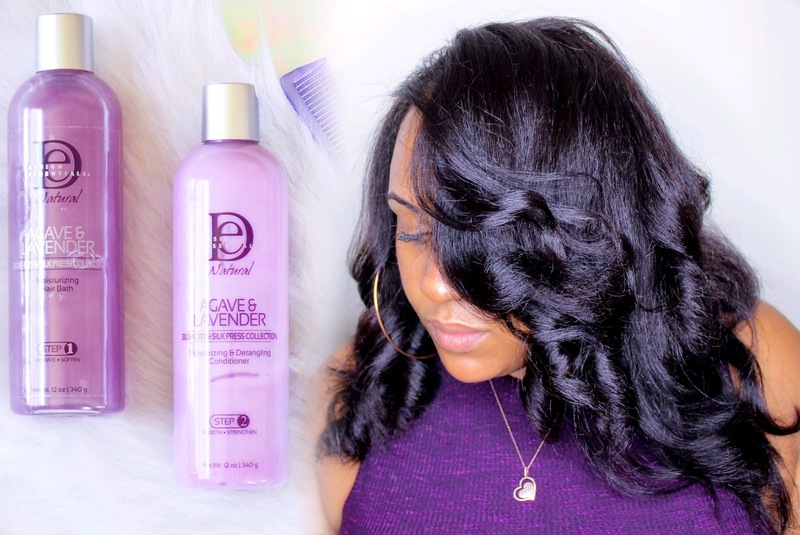 Deep condition with heat for 30 minutes using the Design Essentials Agave & Lavender Moisturizing & Detangling Conditioner for deeper moisture, better penetration of ingredients, and strengthening of hair to prevent heat damage and improve elasticity. 4. Rinse and towel dry to remove excess water, and then apply Agave & Lavender Blow-Dry & Styling Primer in sections. After spraying each section, I went through with a wide-tooth comb to remove any tangles and distribute product from roots to ends. 5. Blow dry in sections, thoroughly. If you know your way around a round brush, definitely use it to achieve straighter blowout results. But if you can't hang, don't be like me. Just use the attachment and be humble, lol. My blowout probably would have been straighter if I just used the dang attachment, lol. 6. After hair is completely dry, apply a small (pea to pearl-sized) amount of Agave & Lavender Thermal Protectant Creme to the hair. I rubbed it in my hands first to make the small amount easier to distribute and not go on too heavy in certain sections. After thoroughly applying, I went through with a paddle brush to ensure that product was distributed from roots to ends. 7. Flat iron the hair in small sections. I used two passes on 410 degrees Fahrenheit, but use however many passes and whatever temperature works best for you. 8. Trim the ends of the hair (optional). Not mandatory, but this step is recommended. I always lightly trim my hair when it's straightened, because I can better see the damaged ends. Plus, healthier ends make for a better style. 9. Wrap and set under a hooded dryer. Another step that's not mandatory, but works - especially for more frizz-prone natural hair. I skipped the saran wrap and went straight for the satin scarf, but the result is still the same - enhanced shine, and hair that lays a little smoother. 10. Unwrap and curl with flat iron for finished look. I applied a bit more Thermal Protectant Creme, brushed it through, and curled my hair in medium-sized sections. 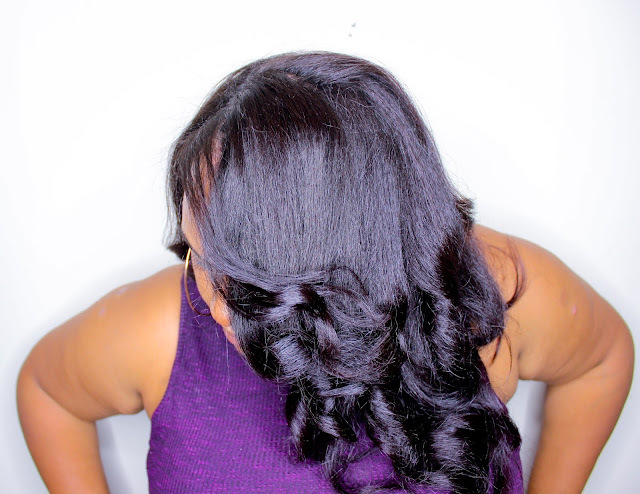 The trick to curling with a flat iron is to start mid-shaft, turning the iron inward, rotating as you pull down to create the curl. I can't wait to bust out this collection again in another 6 months or so! That's it! To maintain my hair, I wrap it at night with a paddle brush and secure using a satin scarf. 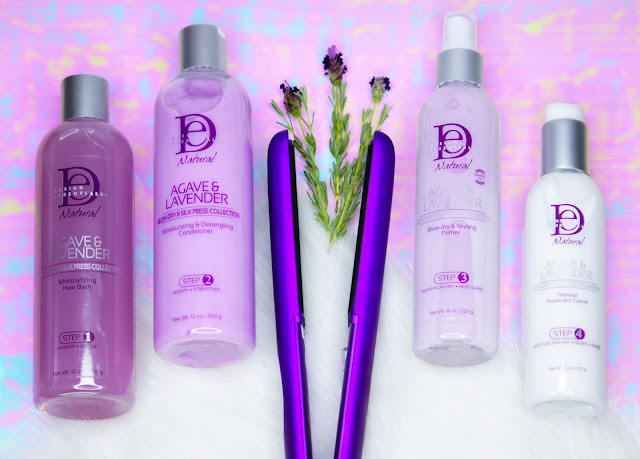 Will you be giving the Agave & Lavender Blow-Dry and Silk Press Collection from Design Essentials a try? Let me know in the comments below! Oh and by the way - The Agave & Lavender Collection is on sale at Sally's - Buy 2, Get 1 Free until 7/30/2017! Thank you so much Janay! Let me know how you like the products! This article is very informative and thorough. Thank you for putting out a quality review. Can please share the brand and type of flat iron featured here ?